GlenDronach produce sherried whisky, and this expression is no exception. The combination of Pedro Ximenez and Oloroso merge beautifully and interact with the distillate in a way that allows the oak notes to shine through. 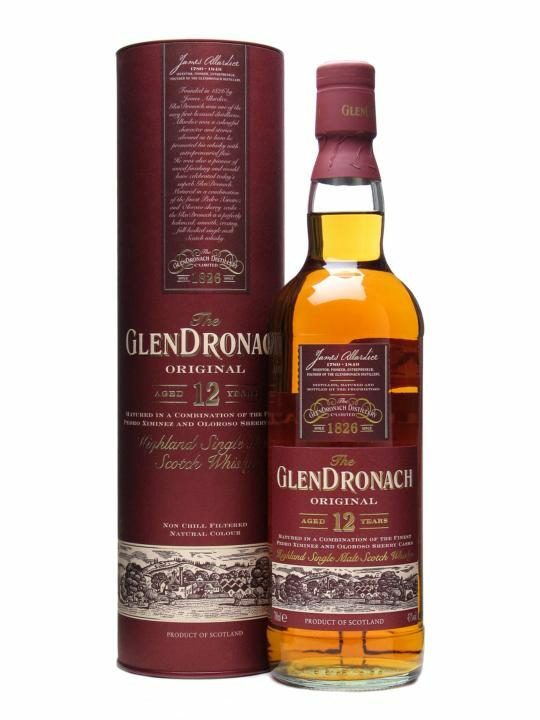 This is very well done by GlenDronach, and a must try for lovers of sherried whisky. Nose: Big sherry notes are interlaced with rocky road (marshmallows coated with chocolate). The gentle surge of vanilla shines with a herbaceous and spicy twist (cloves, basil, parsley) and pine cones with oats. This whisky offers a dense, fresh and energetic nose. Taste: With a gentle entry, the whisky gradually intensifies in character as it releases rich chocolate with preserved cherries in grappa. There is a beautiful shimmer of sweet sherry that is moderated by the dark chocolate and oak bringing fruit cake, as the tang of orange peel and oranges dusted in cocoa bring added vibrancy. This is a beautifully rich and dense whisky, that is not over the top. Finish: Mild yet enduring, it offers cherry jam with a slight grassy, almost nutty, note.